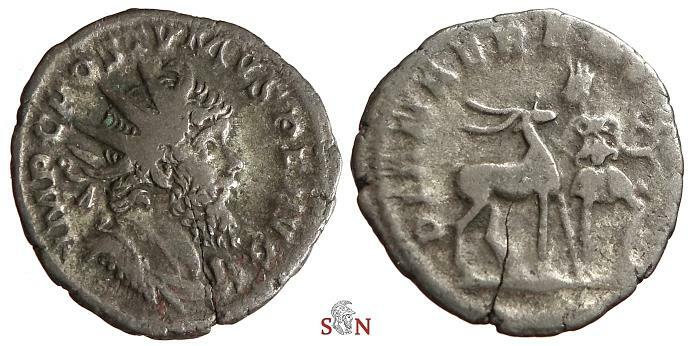 Postumus Antoninianus, struck 266 AD at Cologne mint. Obv: IMP C POSTVMVS P F AVG, radiate, draped and cuirassed bust right. Rev: DIANAE REDVCI, Diana walking right, holding bow, leading stag.